23 years old beauty Khin Yadanar Thein Myint from Mandalay was crowned Miss World Myanmar 2015 last night. Khin Yadanar Thein Myint defeated 19 other girls to win the coveted crown.This 5 feet 8 inches tall beauty will now represent her country at Miss World 2015. Miss World 2015 will be held in Sanya China later this year in December. 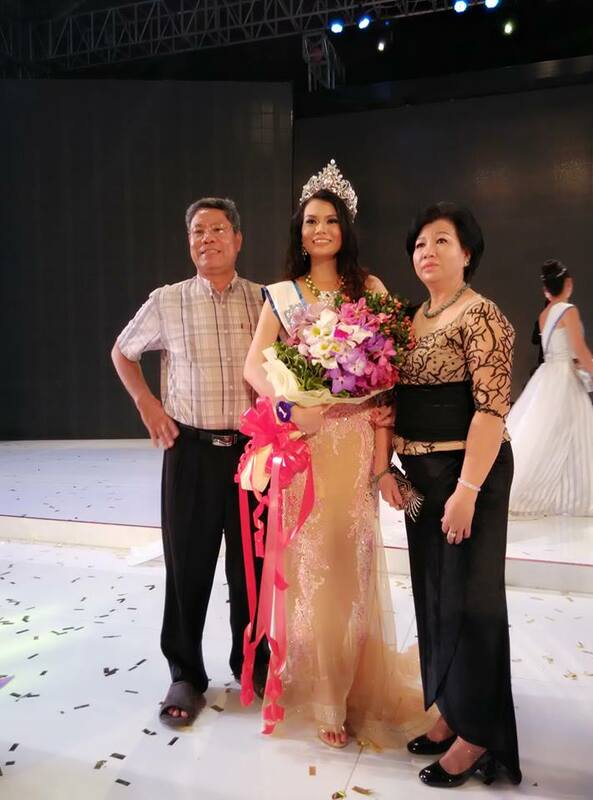 Maureen Lu San was crowned as the first Runner Up & Nang Sandar Hla Htun was crowned as Second Runner Up. Maynmar made a come back after a hiatus of 54 years in 2014 at Miss World where Wyne Lay represented her country. Wyne Lay went unplaced at the pageant. Do you think Khin Yadanar Thein Myint can get placement for Myanmar this year?